FireMaster® FastWrap® XL | GarCo Manufacturing Co., Inc.
An advanced duct wrap which provides excellent fire protection properties, is thin, lightweight and foil encapsulated for fast, easy installation. 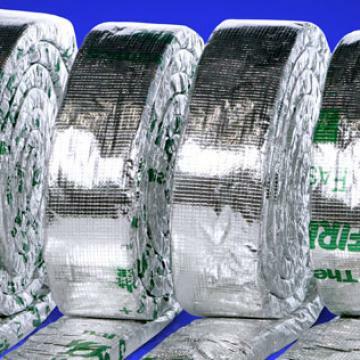 Thin and flexible, it has been developed specifically to provide the highest performance fire insulation of kitchen and ventilation ductwork worldwide. This entry was posted on September 3, 2015 by GarCoMfg in Insulation, Products, Safety/Fire Protection, Thermal Ceramics and tagged Duct Wrap, FastWrap, FireMaster, Morgan Thermal Ceramics.